"Nothing will ever work as good as your real teeth, so only floss the ones you want to keep." 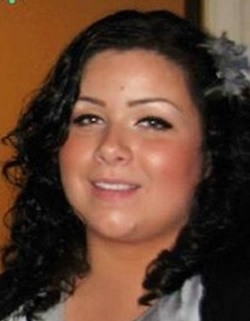 Dina is a New York State Registered Dental Hygienist. She graduated from SUNY Orange. She has over 17 years experience in the dental field. 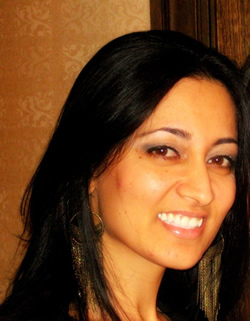 Dina is licensed to administer local anesthesia and nitrous oxide analgesia. She is a member of ADHA and stays up to date in her field by taking continual education courses regularly. Dina makes sure that patients have a comfortable experience in our dental office. She loves to educate her patients about oral health, and believes that the best remedy is prevention. Every little thing you do to keep your teeth and gums healthy helps. Dina was born in Republic of Georgia (former USSR) and has two kids. Her son is a student at SUNY New Paltz and her daughter is a student at SUNY Binghamton. Some of her hobbies are baking, making custom jewelry and fruit carving. 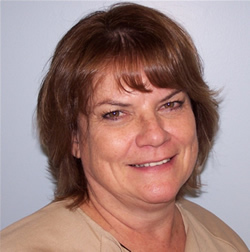 Nicola is a New York State Registered Dental Hygienist with a degree from SUNY Orange. She is licensed to administer local anesthesia and nitrous oxide analgesia. She is a member of the ADHA and stays up to date in her field by taking continuing education courses regularly. Nicola was born in Ireland and travels there every year to visit her grandparents & relatives. She now lives locally with her fiance, Dennis and their two kitties, Harley & Lady Gaga. She loves to cook, do artsy stuff and garden. Barbara is a Registered Dental Hygienist who graduated from Farleigh Dickinson School of Dental Hygiene. She has many years experience as a hygienist and is licensed to administer local anesthesia and nitrous oxide sedation. Barb has completed many hours of continuing education to stay up to date with the newest dental health information that she can pass on to her patients. She works hard to make all her patients feel comfortable and keep them well informed about their own individual dental health. 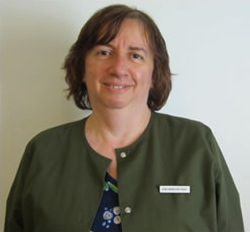 Barb has been living in the Port Jervis area for over 30 years, where she and her husband raised their three children. She spends her spare time enjoying the outdoors, gardening in spring, trips to the beach in summer, hiking in autumn and being out in the snow in the winter. By far, her favorite hobby is spending time with her three beautiful grand children. 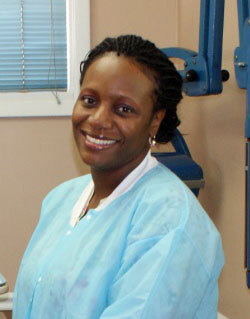 Mary graduated from UMDNJ with a degree in dental hygiene, while working on her BS degree. She has been in dental field for a few years with extensive experience in dental assisting. She is certified in administering local anesthesia. She was interested in dental hygiene since childhood. She loves teeth since teeth makes one smile, talk, eat, what is not to love about it! She also loves spending one on one time with her patients, and loves meeting different people with interesting stories. She loves to listen and help them. She chose dental hygiene because she always wanted to be close to health care field and it is her passion to care for others. She believes that each patient is an individual and deserves to be treated as such. It makes her feel good when she helps another human being. Her goal is to have her own none profitable mobile hygiene company in the near future, where she can educate and provide oral care to the unfortunate people in other parts of the world who cannot avail the same. The reward she gets at the end of her day is when a patient leaves satisfied and with a great smile. Knowing that they put their trust in her hands makes her feel more thrilled to be doing what she does. She looks forward to seeing her patients. Especially, when they really listen to her advice and make some changes in their oral care. Away from the office she enjoys playing volleyball and basketball. She loves Boston Celtics. Highly professional and skilled, Natalia is a New York State registered dental hygienist. She graduated from the New York City School of Technology and is also a member of the ADHA. Bringing in fifteen years of experience in a variety of dental settings and specialties to the table, Natalia has time and again proven her passion towards dentistry and her patients. Motivated, caring and an empathetic dental hygienist, she strongly believes that every patient deserves equal and thorough dental care with a gentle touch. She not only listens to her patients concerns and addresses them directly, but also helps calm them and keeps their dental anxiety in check throughout all their appointments. She strongly believes in educating her patients on the importance of oral hygiene and therefore extends to them a detailed explanation of their current oral hygiene with the help of visual aids like x rays and intra oral photos. Passionate as she is, she enjoys spending her free time reading, cooking gardening, traveling, hiking and biking with her family and friends. Sabrina is a Registered Dental Hygienist. She graduated from New York University College of Dentistry. She has over 16 years of experience in the dental field. Dental hygiene has been both satisfying and rewarding for Sabrina. 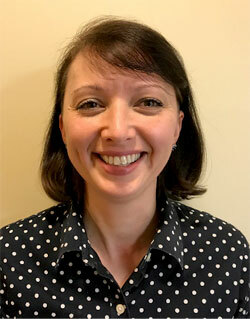 She has continued to expand her dental knowledge each year through continuing education, staying on the cutting edge of her profession and working with wonderful dentists, colleagues and patients. Sabrina is a native New Yorker who enjoys spending time with her family and loves travelling. She is warm, receptive and loves to educate her patients about oral health. She believes that the best remedy is prevention and quality care is essential.